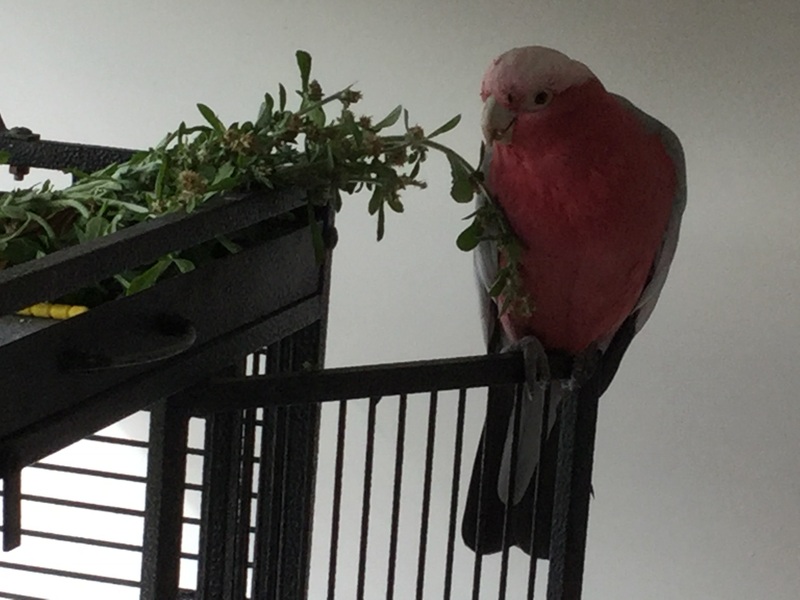 It’s been a big time of change for our whole flock (2 humans, Mr Tucker the Galah, plus 2 cockatiels and a lorikeet). We have sold ‘Euphoria’ to some other conservation-minded people, whom we know will take good care of it. And moved to an island off the Queensland coast, in beautiful Moreton Bay. Mr Tucker has written his impressions of the move on his facebook page. “I haven’t been able to post for a while because my whole flock has moved! I was a bit worried, they put us all in the back of the ute and took us across the water on a barge. Birdie was excited but I didn’t know what was happening and called out a bit. Then the whole family – my humans and the rest of my flock – stayed in one room for a whole month. We had our cages and all of our favourite toys with us. They kept telling me we were going to get our own room. Just for birdies! And here it is! PPS. It also has an ensuite bathroom.